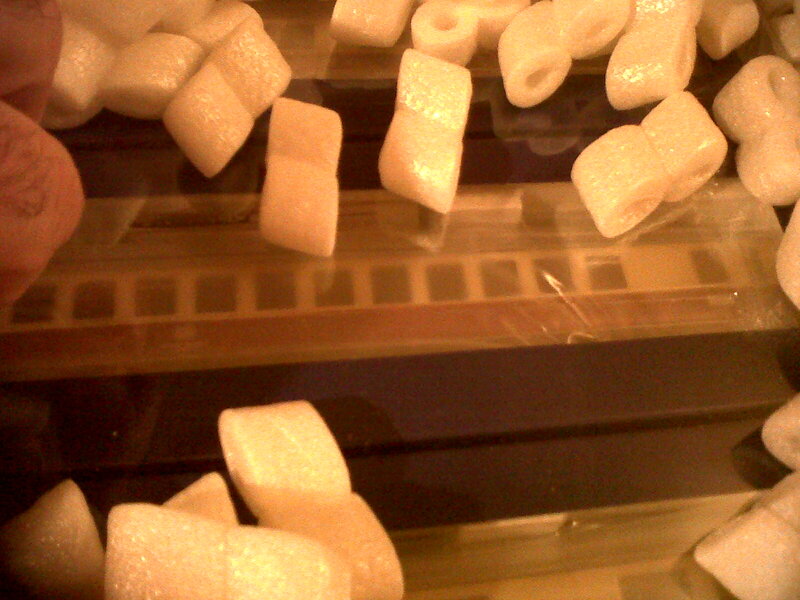 French Model Railway: Trans Europe Express - a disappointment and a puzzle. Trans Europe Express - a disappointment and a puzzle. 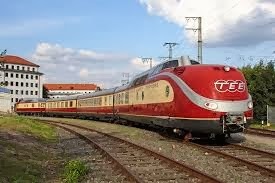 As well as Le Capitole (see yesterday's blog) which will take passengers south to the bright skies of the Mediterranean, I wanted an express train that would go in the opposite direction and take passengers North to the big commercial centres of the Low countries and Germany. 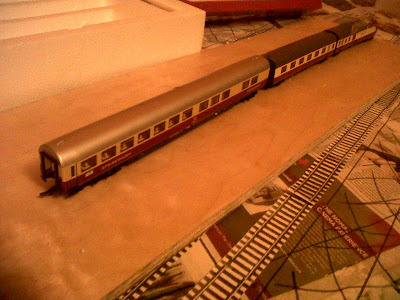 The ideal candidate was the Trans Europe Express, and a few weeks ago I purchased a second hand ROCO model from eBay. 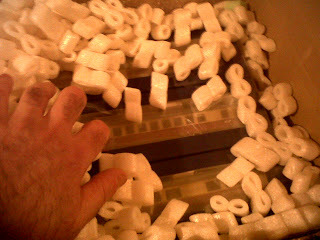 But, it came with only 2 carriages (see top half of picture below). An set of an additional 3 carriages has to be purchased separately (see bottom half of picture). So, I ordered a set of 3 TEE carriages from the internet and they arrived today from France. When I say "arrived" I mean that after much phoning to La Poste in France to get help with interpreting the latest message on the online tracking website (which was ambiguous even to the very helpful girl I spoke to at La Poste HQ in Paris - the message was simply "It is at the Post Office" - no indication as to which post office or even which country), I finally discovered the package was at Thornwood Post Office, and so collected it from there about an hour ago. 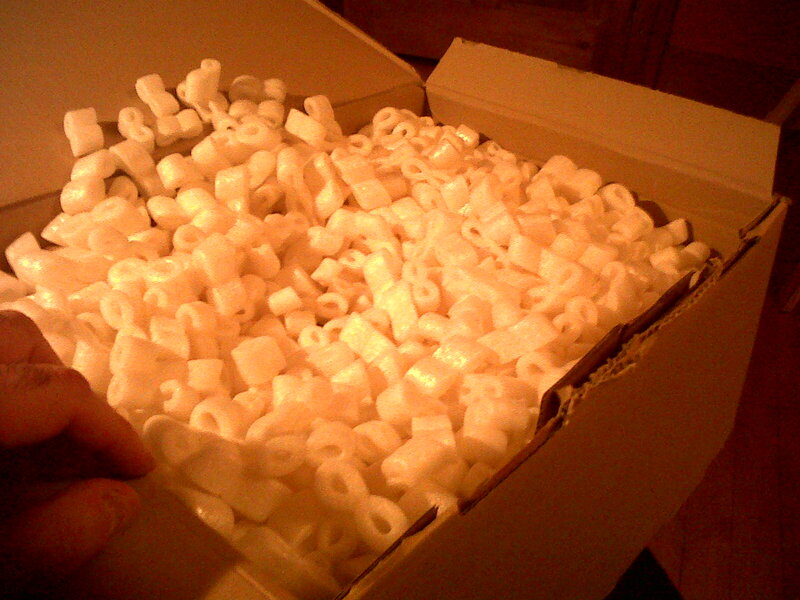 The usual irritation with all those polystyrene pieces used to protect the contents. But, there seems to be something in there. 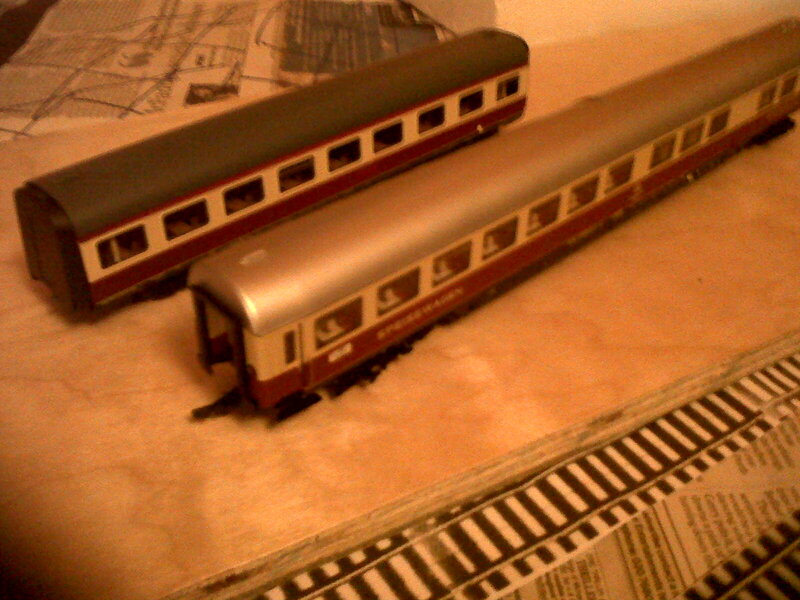 However, when I got the carriages out, I thought to myself, there is something not quite right here! Basically, the 3 new carriages are considerably longer than the two I currently have - although from the same manufacturer, ROCO - and have silver as opposed to charcoal roofs. Here are some photos of the motley crew. Obviously, the wrong carriages. I realise that this is a tad late for a comment, and that you probably know this already(!) However, if you don't already know, you should be aware that most of the German H0 manufacturers have over the years produced coaches to scale length (1/87) and also underscale ones at 1/100. (The older models tend to be the latter.) It may be that you have a mixture of the two?